Why do we need to be committed to nightly skin care? Think of what your face & skin is exposed to throughout your day ... dust, dirt, greasy smog, environmental pollutants, sweat, bacteria ... not to mention the layers of products that you may have taken great care and time to apply ... moisturizer, SPF, foundation, concealer, blush, etc. Cleansing before bedtime allows your skin a chance to breathe & hydrate, while your body goes into "rest & repair mode" as you sleep. Without thorough and consistent cleansing, your skin can become dull and congested (clogged pores, blemishes, blackheads), while showing premature signs of ageing. Purple Essentials can help prevent this from happening - let's Face it together! The key is to keep it pure & simple. 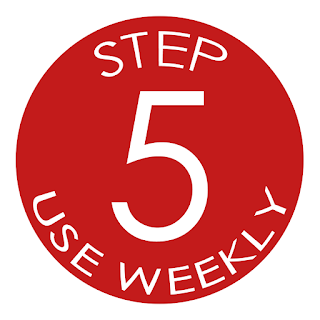 Let's create a nightly, cleansing ritual that not only can you stick to, but is enjoyable at the same time. It doesn't need to be complicated, with a counter full of expensive products, but it does have to offer some element that you crave ... scent, texture, ease of application ... even if it's the packaging alone that entices you to enjoy the experience. 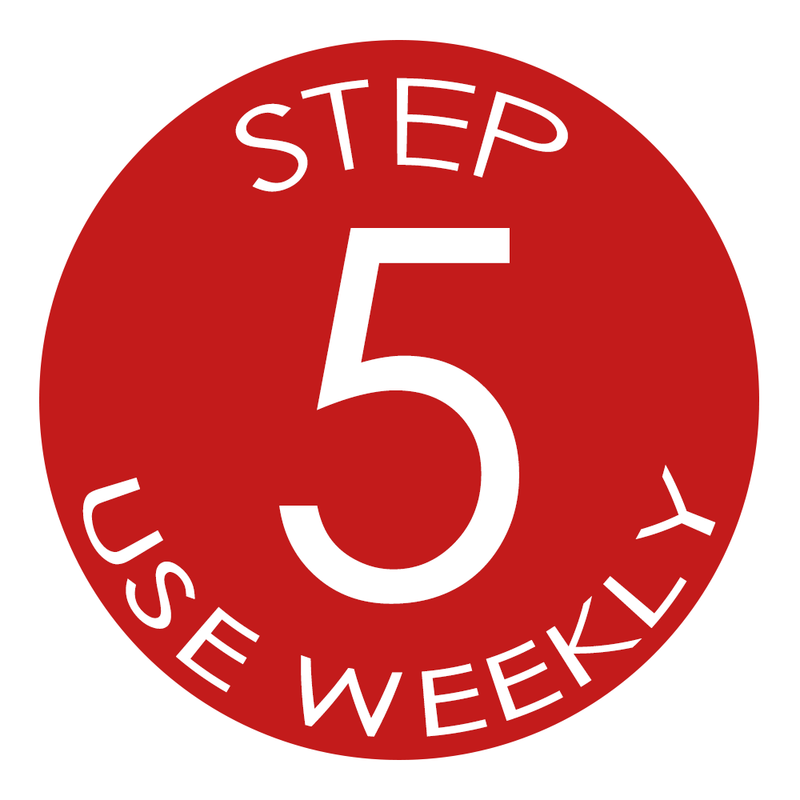 Focus on whatever helps you faithfully embrace your night-time, cleansing routine - helps you make it a healthy habit. I have a friend who makes listening to a favourite song on her Ipod part of her nightly ritual. Earphones in, she has her face cleansed and moisturized by the end of one track ... dance moves included. 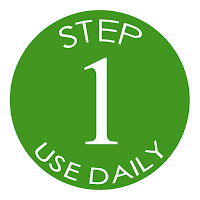 Tone (following cleanser) optional - if you really find the cleansing routine a challenge and are discouraged by multiple products and steps, you may wish to skip Toner, or do it every 2nd evening. If you enjoy the Toner step, use it again in the AM prior to moisturizing. 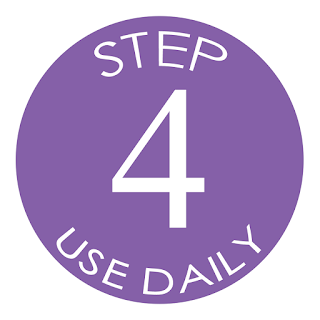 Moisturize while skin is still damp, to help lock in moisture. 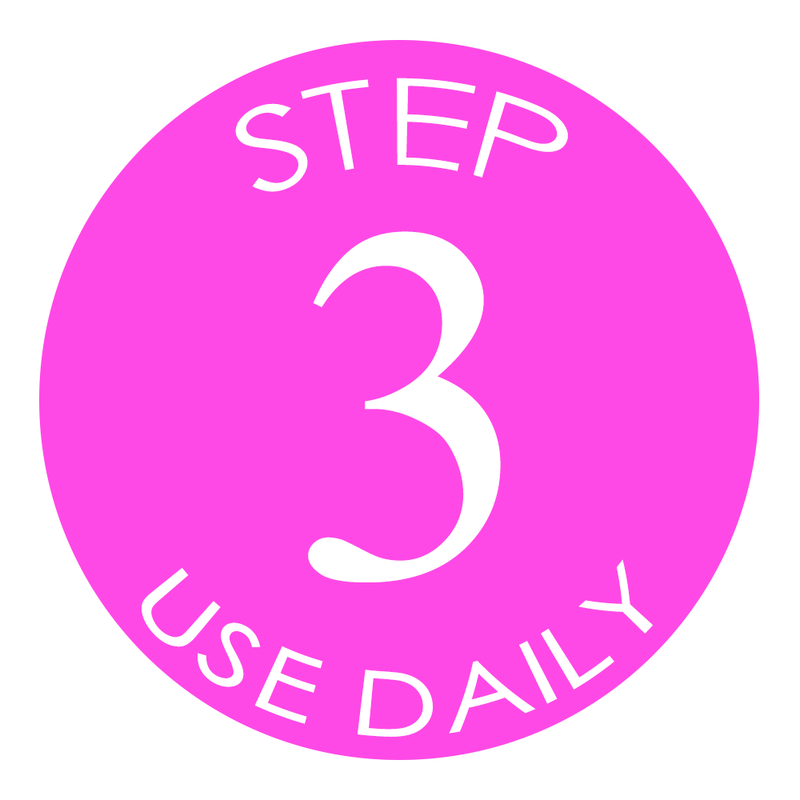 For anyone who wants to take that extra step towards fabulous skin, apply a Facial Mask 1 time per week. BEST PART ... In the morning, just rinse your face with some luke warm water and a wash cloth, apply moisturizer and SPF ... easy!! Choose a gentle skin cleanser, one that will not disturb your natural moisture barrier. 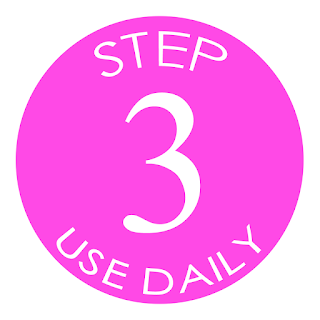 Use finger tips to apply cleanser to face, in upward and circular motion, gently massaging product into skin. This will help to lift the tiny facial hairs and allow product to get deep into pores. Apply moisturizers and serums, from thinnest to thickest formulations. Applying a thicker formulation first may prevent the thinner products from penetrating deep into the layers of skin, where they best work their magic. 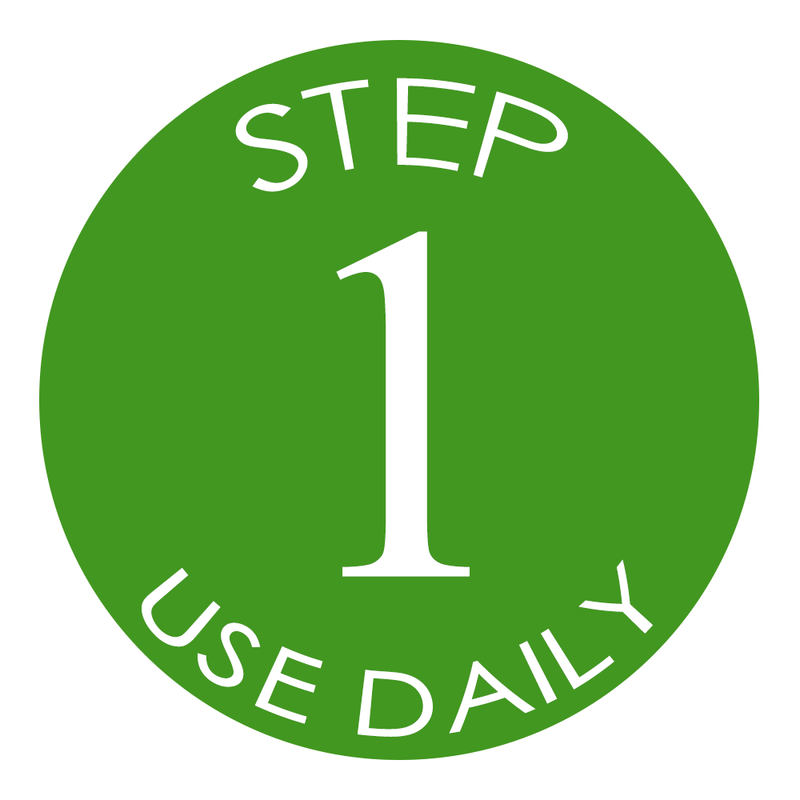 steps to nourish and nurture your skin ... steps that will reward your complexion daily, and for years down the road. 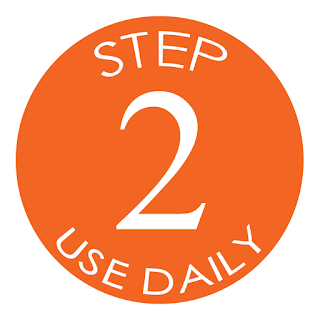 * Remember it takes 21 days to form a habit - stick with it. 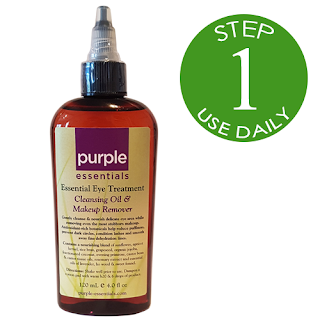 Essential Eye Cleansing Oil & Makeup Remover - Formulated with antioxidants and puffiness-soothing botanicals, this oil aids in preventing dark circles, helps smooth away appearance of fine lines, and helps to condition lashes, all while lifting away impurities and removing even the most stubborn eye makeup. Orange & Rosemary Cleanser - Orange & Rosemary Cleanser thoroughly cleanses the skin to remove surface impurities and make-up without disturbing the delicate moisture and oil balance of the skin. Contains humectants that actually draw water into the top layer of the skin, leaving your skin with a soft, supple, smooth feeling after cleansing. 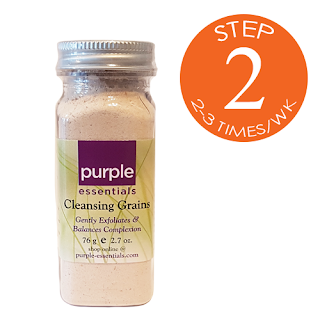 Cleansing Grains (exfoliator) - Gently clears and exfoliates dull, congested pores. A mild, nourishing blend, suitable for balancing all skin types. 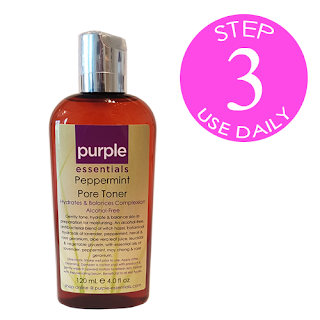 Peppermint Pore Toner (facial balancer) - Gently tones pores. Soothes the skin while hydrating and helping to balance the complexion. A non-drying blend of alcohol free witch hazel, aloe vera juice, vitamin E, and peppermint. 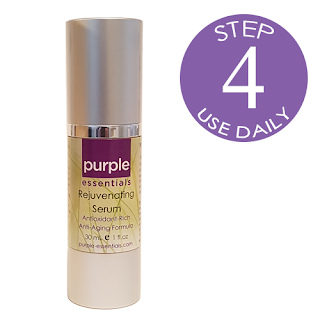 Rejuvenating Serum (moisturizer) - Effectively lessens the appearance of fine lines and wrinkles while nourishing and plumping the skin. Packed with skin nourishing vitamins and antioxidants, this formula helps to restore, activate and advance your skin's preservation system. 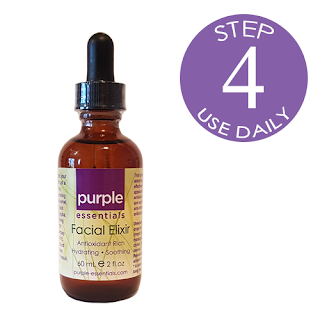 Facial Elixir (moisturizer) - With only a few drops a day, this lightweight, quick-absorbing blend works on all skin types to effectively lessen the appearance of fine lines and wrinkles, while helping nourish & soothe irritated skin with anti-inflammatory, antioxidant rich oils (ie rosacea). 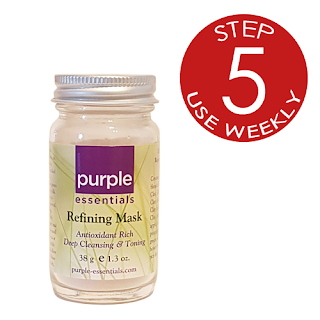 Refining Face Mask (toning, tightening mask) - Clay and fruit extracts, antioxidant rich, deep cleansing and toning. This product leaves skin feeling soft and renewed. Contains: pink, green, blue and white clays with extracts of apple, cucumber, pineapple, ginger and green tea. Fresh & Natural and available across North America, Purple Essentials' products are handcrafted onsite in our Qualicum Beach, BC boutique - shop online at our Purple Essentials website.